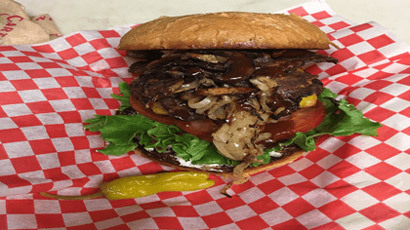 Cartwright’s Deli Menu offers great food, fast and easy! Want to pick up a great, satisfying lunch? Come to Cartwright’s! 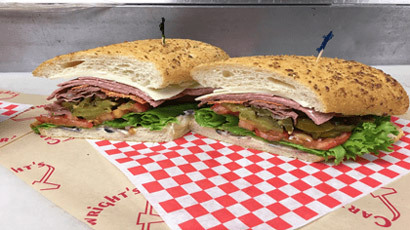 All of our Sandwiches are made with your choice of a fresh Deli (White, Wheat or Italian) Roll. All of our deli sandwich meats are made fresh on-site. This is the Ultimate Sandwich! Delicious food, made from real ingredients, make for a delightful meal!